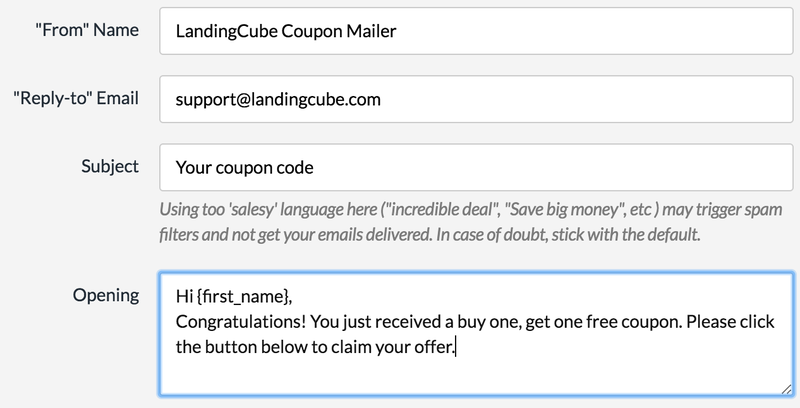 We show you in this article how to create single-use promo codes in Amazon’s Seller Central. 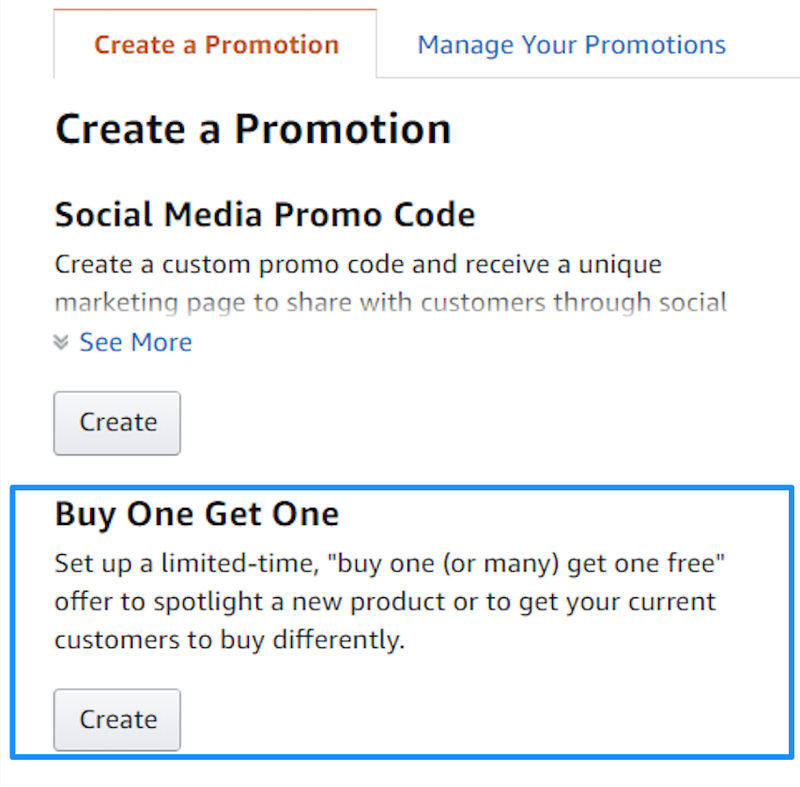 You can set up a wider range of promotions too, including "Buy One Get One". Begin by going through “Advertising” then “Promotions”. 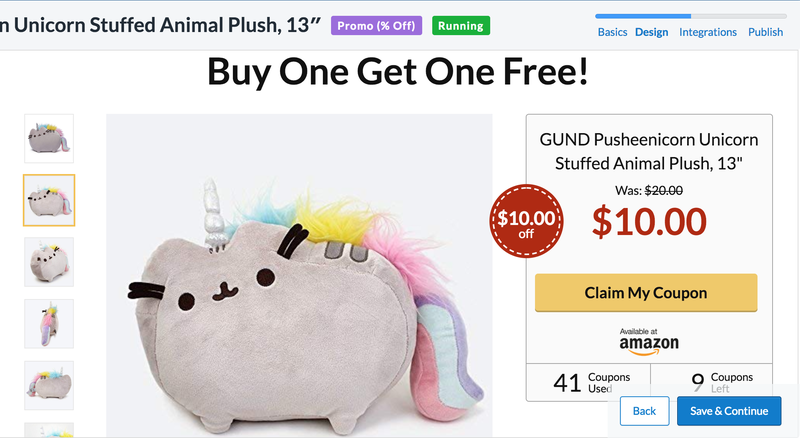 Select the “Buy One Get One” option. Now set the conditions for the purchase. Set “Buyer purchases” to “At least this quantity of items”, with the value at “1”. Set "Applies to" as "Purchased Items"
Set "Buyer benefit applies to a quantity of" as 1 when buyer purchases 1 items. You can also change these values if you wish, changing the number of items a customer must purchase to qualify, or how many free items they receive. From the "Scheduling" step, follow the steps the same as a regular promotion, as laid out here. Remember to set your promotion codes to "single use". Under "Step 3: Additional Options", set "Claim Code" as "Single Use". When making you landing page, you will need to edit several areas to indicate it is a "Buy One Get One" promo. On the "Basics" tab , you should set the original price as the regular price for two items. The new price is then the cost for one item. Under "Design", you will have to include in your headline or body (or both) that this is a Buy One Get One deal. 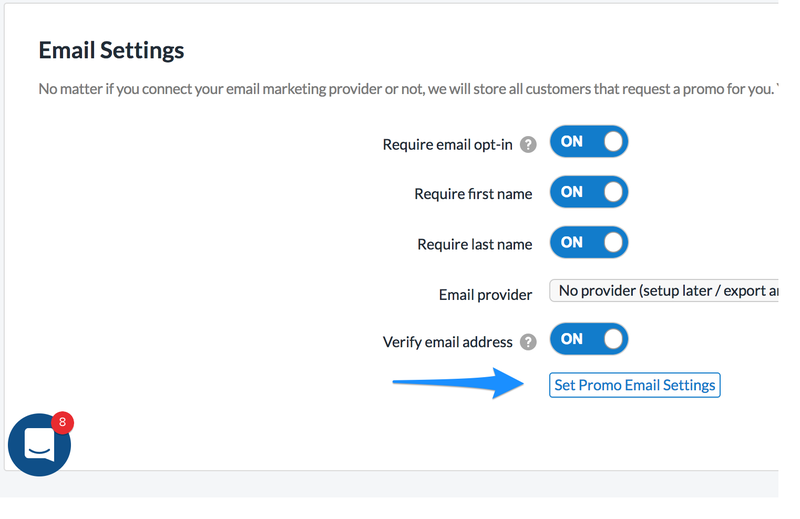 You can also edit your promo email settings to show the type of promotion it is. Set the rest of your campaign settings, including your Google Analytics, Facebook Pixel and Email Provider integrations, as you wish. Once this is done, you will be able to publish your beautiful landing page and start driving external traffic to your Amazon listing.